New operational concepts for the food and beverage industry have opened the door to expanded Hazardous Material dangers for employees, customers, and first-responders. Did you know the larger CO2 gas cylinders require increased CO2 gas cylinder safety measures? Fast Food restaurants began increasing the size of their CO2 gas cylinders in order to improve efficiency and reduce costs in their soda-dispensing operations. Smaller gas cylinders required frequent replacement interrupting operations and inconveniencing customers. The decision to install high-capacity containers of liquid Carbon Dioxide (called dewars) has added a significant new risk factor because these large containers contain enough Carbon Dioxide to completely displace the oxygen in a closed area with the potential for immediate loss of consciousness and death in the event of even a small leak. (see chart below). Even adjacent spaces – including public restrooms are at risk. 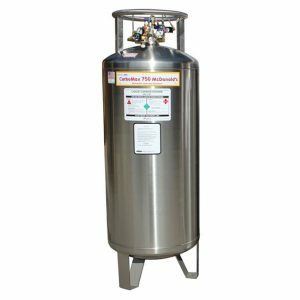 These larger CO2 gas cylinders require additional carbon dioxide gas safety measures that include fume detection sensors as well as better ventilation. Deaths caused by CO2- related oxygen deprivation have been recorded in multiple states. A recent death at a Florida restaurant involved a patron overcome by CO2in the adjacent ladies restroom. A near-miss occurred in the Phoenix area incapacitated an employee and sickened numerous first-responders. The Phoenix Fire Department created a video reenactment to highlight the seriousness of the incident. McDonalds CO2 Incident in Phoenix - watch here! Oxygen deprivation caused by leaking CO2 containers represents a health hazard - endangering employees, customers and first-responders; and the inspection community is taking note. Distillery operations typically begin with the milling of various grains – a process that has the potential to generate explosive dust (link to common hazards /combustible dust). Typical commercial building design does not include consideration for this hazard. However, once the explosive dust hazard has been identified, design mitigation – including an installation of explosion-proof electrical components, blow-out panels and ventilation monitoring may be is required. As an alternative, some equipment used for the milling process is sealed to prevent the escape of hazardous dust and, while more expensive, with regular inspection and maintenance, this approach may reduce the explosive dust hazard. The distilling operations also generate dangerous toxic and flammable materials including Ethanol and Methanol which require gas detection and ventilation control. The bottling and dispensing process require Nitrogen and Carbon Dioxide – both potential cryogenic hazards. Additionally, both Nitrogen and Carbon Dioxide represent an oxygen deprivation hazard and when deployed in a closed space, represent a hazard to employees, customers and first-responders. Finally, the warehouse operations at most distilleries have loading areas where Carbon Monoxide and Nitrogen Dioxide may be present due to truck or forklift operation. Regular exposure to these highly toxic substances represents a significant health hazard and may require gas detection as part of the facility-wide Life Safety System. A Hazardous Material Opinion and Report should be initiated to assess the hazards and determine what the Building and Fire Codes will require. 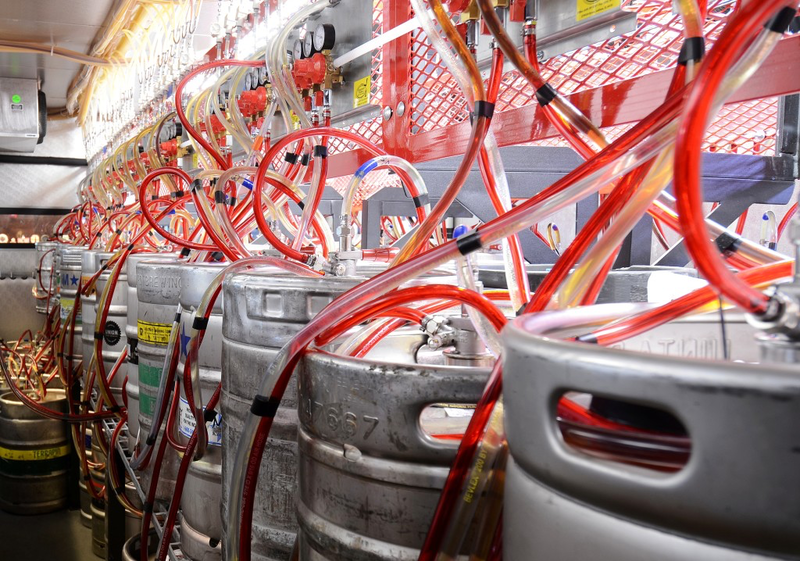 Bars and Brewpubs typically utilize numerous canisters of Carbon Dioxide (C02) and Nitrogen to drive their distribution process. Even though each gas cylinder is of a moderate size, the number of cylinders – and the number of hoses and connectors - represents a significant risk requiring enhanced gas cylinder safety measures. While these cylinders are typically concealed in small, closed area accessed only by employees, the adjacent spaces – including public restrooms are at risk. One recent death at a Florida restaurant involved a patron overcome by CO2 in the ladies’ restroom. 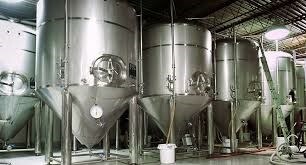 The additional challenges associated with brewing beer including the production of large amounts of Carbon Dioxide- a normal byproduct of the fermentation process – that in large enough quantities represents a health hazard due to oxygen deprivation. The size of the vats and the methods for heating may result in a requirement for Gas Detection and Oxygen monitoring. 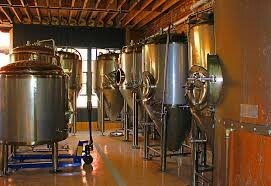 In addition to CO2 container leakage, many Bars & Brewpubs (especially those serving food) may also have walk-in coolers. As a closed space, these represent a significant hazard to employees in the event of a CO2 or Nitrogen leak that creates an oxygen-deficient environment. Rochester Hills, Michigan has one of the few, fully-accredited Building Departments in the United States. See the Hazards of Walk-In Cooler requirements. 19 % Some adverse physiological effects occur, but they may not be noticeable. 15–19 % Impaired thinking and attention. Increased pulse and breathing rate. Reduced coordination. Decreased capacity to work strenuously. Reduced physical and intellectual performance without awareness. 12–15% Poor judgment. Faulty coordination. Abnormal fatigue level upon exertion. Emotional upset. 0–12% Very poor judgment and coordination. Impaired respiration that may cause permanent heart damage. Possibility of fainting within a few minutes without warning. Nausea and vomiting. <10% Inability to move. Fainting almost immediate. Loss of consciousness. Convulsions. Death.